Kick off your visit on the 2nd (Mon): kick back and relax at Wells Beach. To see other places to visit, more things to do, reviews, and tourist information, read Ogunquit sightseeing planner. 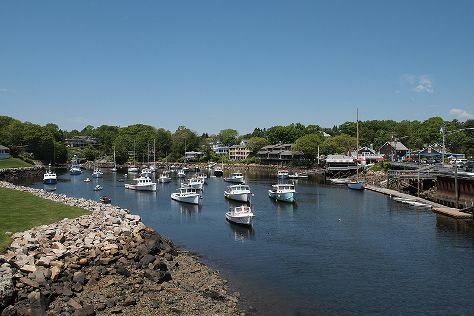 New York City to Ogunquit is an approximately 5-hour car ride. You can also do a combination of taxi and bus; or do a combination of train and bus. Expect a bit cooler temperatures when traveling from New York City in October; daily highs in Ogunquit reach 60°F and lows reach 39°F. Wrap up your sightseeing on the 3rd (Tue) early enough to drive to Camden. Camden is a town in Knox County, Maine, United States. On the 4th (Wed), immerse yourself in nature at Camden Hills State Park and then take your sightseeing to a higher altitude at Mount Battie. To find reviews, maps, where to stay, and other tourist information, read our Camden travel itinerary planner. Traveling by car from Ogunquit to Camden takes 2.5 hours. Alternatively, you can do a combination of train and bus; or do a combination of train and bus. In October in Camden, expect temperatures between 57°F during the day and 42°F at night. Wrap up your sightseeing on the 5th (Thu) early enough to drive to Bar Harbor. Bar Harbor is a town on Mount Desert Island in Hancock County, Maine, United States. On the 5th (Thu), contemplate the waterfront views at Jordan Pond Path Trailhead and then identify plant and animal life at Shore Path. On the 6th (Fri), you'll have a packed day of sightseeing: take in the dramatic natural features at Thunder Hole and then trek along Ocean Path. For traveler tips, ratings, photos, and other tourist information, refer to the Bar Harbor trip itinerary builder. You can drive from Camden to Bar Harbor in 2 hours. Another option is to take a bus. 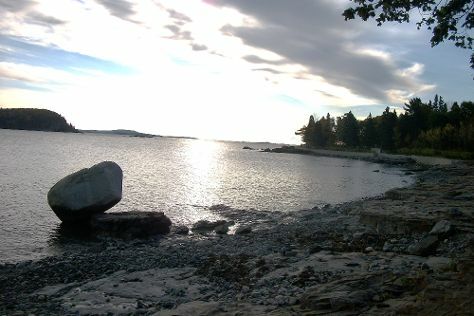 In October in Bar Harbor, expect temperatures between 58°F during the day and 42°F at night. Wrap up your sightseeing on the 6th (Fri) to allow time to travel back home.